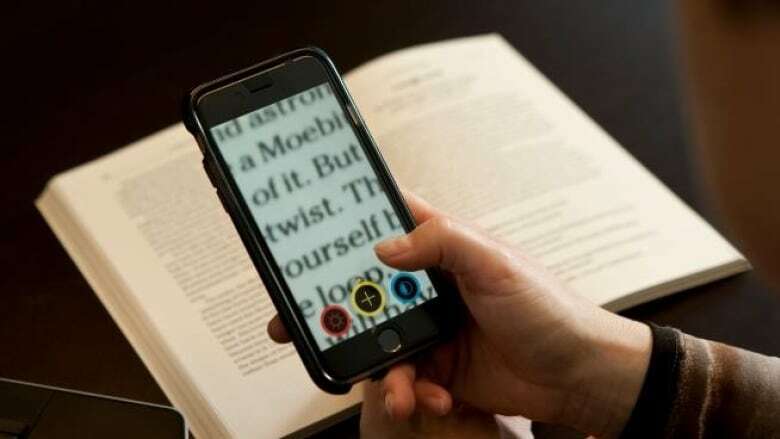 Islanders have been taking advantage of a program through the public libraries that allows them to donate their old smartphones to people who have sight loss. The Canadian National Institute for the Blind launched the Phone it Forward last year. It said it's the first program of its kind worldwide that refurbishes used smartphones, putting them directly in the hands of people who can benefit greatly from them. Since December, Islanders have been able to pick up envelopes to mail their smartphones at any the the 26 public libraries on P.E.I. The envelopes, with prepaid postage, are addressed to the CNIB. Ray MacLeod of P.E.I. Public Libraries said each library was stocked with 10 envelopes and he's already had to restock a few of them. "We're definitely pleased with how it's been going," he said. "Actually, it's sort of exceeded my expectations." The CNIB says 46 per cent of Canadians who are blind don't own a smartphone, or not one that's advanced enough to assist them in daily living. In a news release, the CNIB said smartphones empower people with sight loss, opening "a world of opportunity and independence." "Smartphones can be used for a multitude of day-to-day tasks that many of us take for granted, including navigating with GPS, identifying colours and faces, reading printed text, confirming correct medications and accessing live video assistance from a sighted volunteer," it said. Susan Forsythe, a library assistant at the Confederation Centre library in Charlottetown, said people have picked up about 20 envelopes there. She said she has donated three of her old IPhones. "It's recycling and it's a good cause," she said. "I had them and I wasn't doing anything with them and I thought if someone could use it, I think it's a great thing."